Television was introduced in 1956 in Austria. It makes use of PAL Color System for analogue television and DVB-T for digital terrestrial television. Broadcasting of analog television in Austria was wholly shut down on 7 June, 2011. The government owned television stations monopolized the Australian television until 1996. ATV became the first private television station in Austria. ORF eins (ORF one) is one of the four public TV channels in Austria. ORF eins focuses on featured films and TV series and ORF 2 broadcasts information and cultural programming. News sports channel ORF Sport Plus covers the sports news but ORG eins is the one in charge of broadcasting the important sports events. ORF programming targets on the mainstream audience as it has to compete with a range of German private TV channels through satellite or cable. ORF eins and ORF 2 are the TV channels that are encrypted over satellite unlike German TV stations that are available free to air. Films and episodes are mainly shown on ORG eins. Children’s program called okidoki is broadcasted in the morning. Skiing, Formula One and association football are some of the popular sports that are presented on ORF eins. ORF also broadcasts its news program Zeit im Bild (The Times in Pictures) and the Magazine on ORF 2. In addition to this, there are news programs shown on different times throughout the day. ORF 2 is another Australian live stream Television owned by ORF. ORF2 was launched on 11 Sep, 1961. From 1970, ORF 2 broadcasts 7 days a week and is one of the three public TV channels in Austria today. 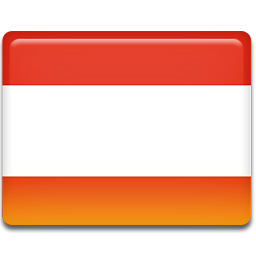 There are regional broadcasts for counties in Austria that are limited to half hour. ORF 2 is available through DVB-T in Germany (close to the Australian border) and in parts on Munich.